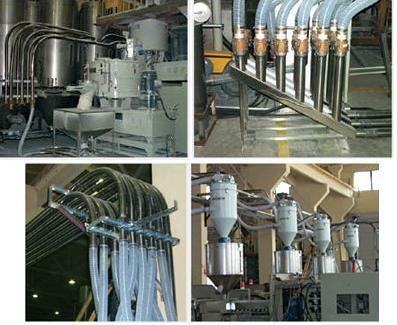 central material feeding system (customized) - Sinchung(Jachen) Technology Co., Ltd. The central feeding system can provide the extruder machines, inject mould machines or food machinery. Feeding system provide material for the whole factory at the same time. We can accord your requirements to design manufacture for the plastic, food, and etc.